Your child will develop their bright mind, their love of learning and their personality! 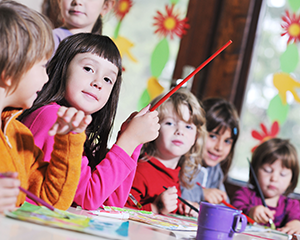 Accredited by the Florida Association for Child Care Management. Children 1 to 12 years old! Next Generation Academy believes in a child development model that incorporates the theories of Piaget, Erikson, Montessori and others. We feel that young children learn best by doing and for this reason learning through play is the cornerstone of the curriculum. 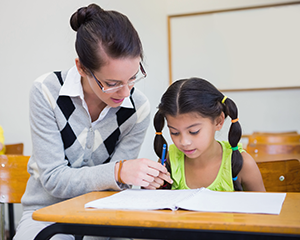 Teachers act as guides and facilitators within a child-oriented program that provides protection, security, stimulation, support, limits, and affection. At Next Generation Academy, children are given the opportunity to explore materials and participate in a variety of experiences. Activities are carefully planned and implemented in a classroom environment using a center based approach. Children are free to choose from age-appropriate activities including art, music, language development, pre-math skills, science and nature, and dramatic play. Children work mostly in small groups or individually. Teacher-child ratios allow for teachers to meet the needs of each child. Our goal is to provide children with a safe, clean, secure, non-bias, loving environment. Children are treated with respect and kindness. We recognize that each child is unique. This is expected, accepted, and used in the planning of classroom activities. We welcome the different cultural backgrounds and values of the multi-ethnic composition of our families and staff. Next Generation Academy works hard to create a bias free environment where children can develop self-esteem, independence and problem solving skills while having fun.